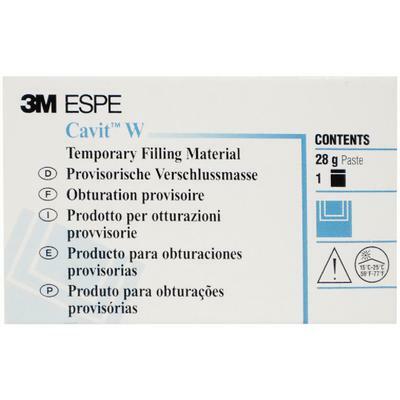 Cavit™ is a light-cured, filling material for temporary restoration of cavities. It is simple to apply with a filling instrument and cures void free in a moist environment. Slight expansion of the filling material ensures a well-sealed margin. 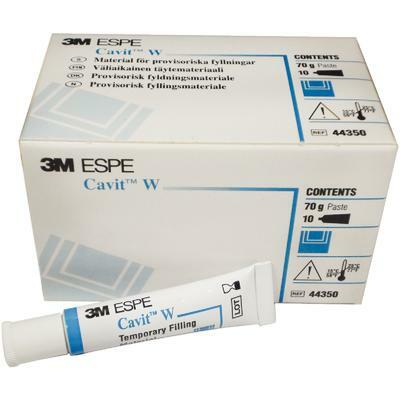 Cavit-W is for after endodontic treatments with final hardness and increased adhesion.